Book an adapted taxi Barcelona 24 hours a day. LOOKING FOR A ADAPTED TAXI BARCELONA? 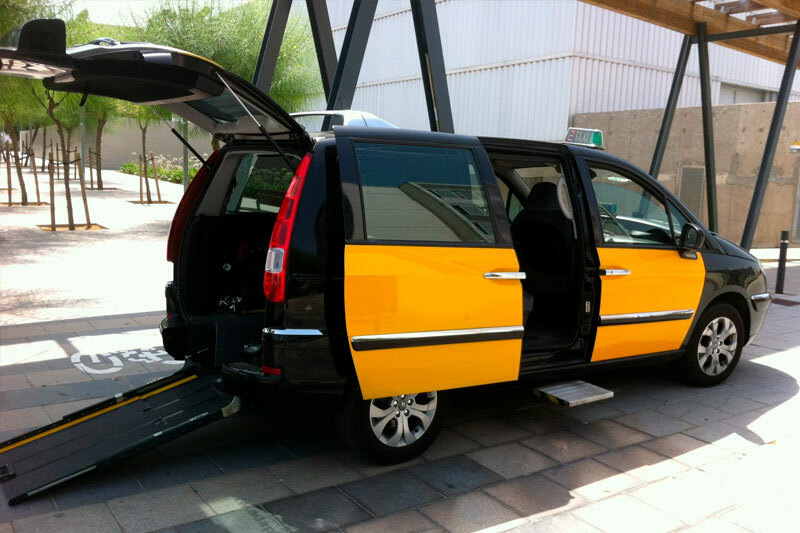 Taximés incorporates a adapted Taxi service in Barcelona with taxis adapted for people with reduced mobility in the city of Barcelona and the metropolitan area. We want to offer a service that provides our customers with extra added value when they travel in one of our adapted taxis in Barcelona and experience more than just a taxi ride. We attend to clients in a personalized way, solving all your doubts and needs of the service. We have professional taxi drivers specialized in the taxi service for the disabled in Barcelona, who offer attentive and polite treatment at all times. All the adapted vehicles pass daily a control of the conservation and hygiene state, both inside and outside.